Donald Trump UK visit: What is going to happen during the trip? 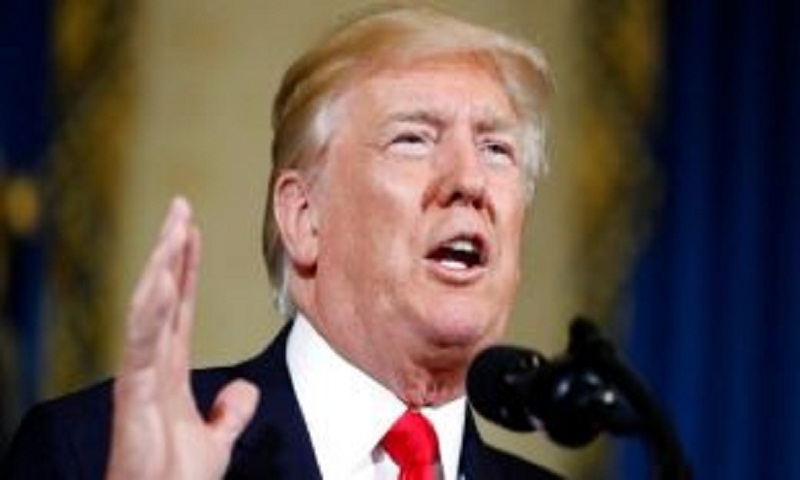 US President Donald Trump is set to arrive in the UK on Thursday for a two-day working visit. Mr Trump is the 12th sitting US president to make such a trip and will spend time with the Queen and prime minister before flying to Scotland to spend the weekend at his golf resort. It is his first visit to Britain since winning the 2016 presidential election. Thousands are expected to protest against the president in London on Thursday and Friday. Mr Trump will fly to the UK on Thursday afternoon with First Lady Melania Trump, following a Nato summit in Brussels. The couple will attend a black-tie dinner on Thursday at Blenheim Palace in Oxfordshire. Invited guests - including a number of business leaders - will eat dinner to the sounds of the Countess of Wessex's Orchestra, which will play a "series of classic British and American hits", according to a spokeswoman for Prime Minister Theresa May. After spending Thursday night as a guest of US ambassador Woody Johnson at his London residence, Winfield House, the president will join the prime minister to watch a UK military exercise, before the pair travel to Chequers - the PM's country residence in Buckinghamshire - for bilateral talks. The president and first lady will then travel to Windsor to meet the Queen on Friday afternoon. On the final leg of the tour, the couple will fly to Scotland, where they plan to spend the weekend at Mr Trump's Turnberry golf resort. The president's time in Scotland is not counted as part of the working visit. Tens of thousands are expected to protest against the president in London on Thursday and Friday and in Glasgow on Saturday. Police forces from across the country have been asked to send officers to assist the Metropolitan Police, including 400 from the West Midlands force. London Mayor Sadiq Khan has granted permission for a giant inflatable figure depicting Mr Trump as a baby to fly over Westminster for two hours on the second day of the president's visit. Smaller demonstrations are also expected to be held across the UK including Devon, Dundee, Edinburgh, Belfast, Norwich, Manchester, Leeds and Liverpool. Mr Trump has a number of high profile supporters in the UK - including prominent Brexiteers Nigel Farage and Boris Johnson.